To date, ZÉLL-V has over 30 signature and image stores located in premium shopping centres and prominent cities all over the world. In line with our quest for continuous improvement to provide the best service possible to our customers, we are currently developing the ZÉLL-V Haus, a whole new image store that seeks to provide customers with a comprehensive body and mind experience. 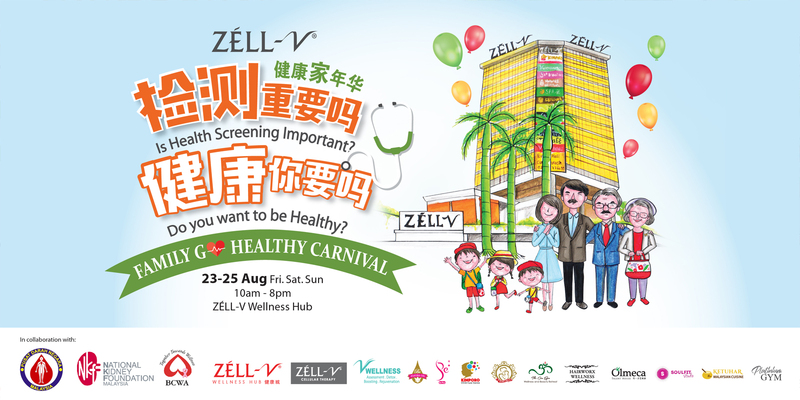 The first three ZÉLL-V Haus shall be set up in Bukit Mertajam Penang, Johor Bahru and Kuantan. Adopting a clean, pure and sophisticated look with natural, plant-based decorations, these outlets feature a reception area, cell check room, treatment room, juice bar and lounge for guests to relax in. Set to be officially launched in the near future, ZÉLL-V Haus is positioned to revolutionise the cellular therapy experience, making it even more holistic, luxurious and soothing to all senses.